About the Dinner-To mingle. To share. To connect. 30th Anniversary Dinner - As the SOLE joint-university dinner with students from 9 local universities, it serves as a precious opportunity for you create your business circle with students and business elites all around Hong Kong. By participating in the largest reunion since establishment, you will have the networking opportunities with over 60 guests from the academic field, business and government field. It will be an invaluable occasion to broaden your network and to learn from the professionals. All participants are also eligible to join the Lucky Draw for attractive prizes with the total value over $10,000! 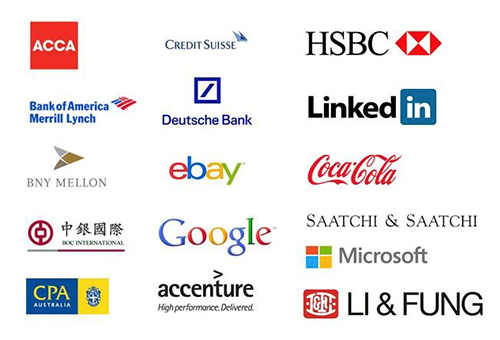 This year, we are very honoured to have guests from the following companies to join our dinner. It is surely something that you should not miss. The dinner is held at the croquet lawn, which binds the gathering with the natural sense of elegance and warmth. Join now and meet business elites at this unforgettable occasion.